If you’re familiar with RCs, there’s no way you’ve never heard of Traxxas. Based in Texas, they’ve continued to create quality product after quality product including the Slash and the X-Maxx. Their customer service isn’t too shabby either. 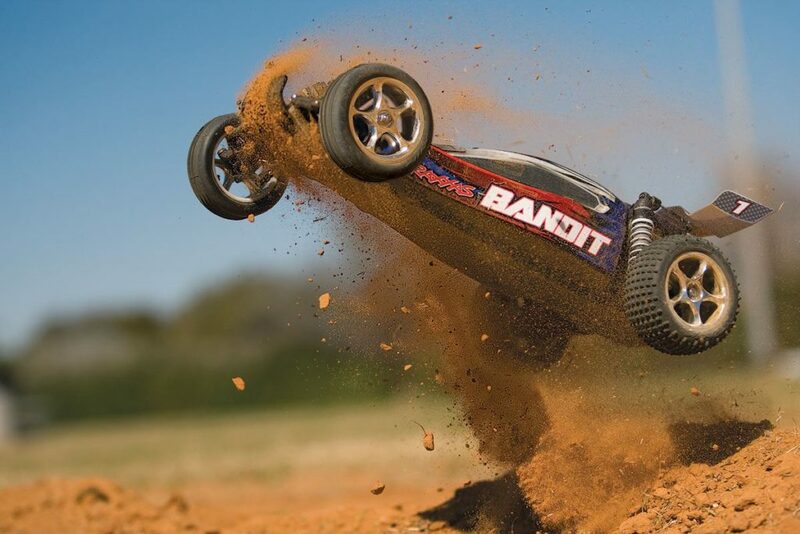 Thinking about getting the Traxxas Bandit? Well, don’t be surprised if this Traxxas Bandit review seals the deal. We’re going to talk about the Bandit’s unique features that make it stand out in the crowd. Don’t worry, we’ll be talking about the cons too! In this review, we’ll talk about the Traxxas Bandit XL-5 in all of its glory. We will fill you in on the tech, drivability, durability, pros, cons, and more. Keep reading if you dare, but first, check out this cool promo video for the bandit. Enjoy. The Bandit is a dream come true for any RC user. With its innovative design and clever engineering, this RC comes ready to run. Setup (and I use that word loosely) isn’t so much a setup, as it is a waiting game. All you need to do is charge the battery pack on the compatible charger you get in the shipment. Then you get your batteries in there (the batteries aren’t included) and you’re ready for action. You don’t need any prior experience or knowledge about RCs to have a great time on the track with this buggy. Traxxas isn’t just giving you a decent RC car at an affordable price. This machine incorporates the latest and best technology (the patent-pending Revo, spec torque control) to give drivers the ideal racing and bashing experience. Due to its Titan 12 turn 550 modified motor, this bad boy promises plenty speed — accelerating as fast as 35 mph! The 2.4 Ghz TQ radio combined with the XL-5 ESC (electronic speed controller) offer raw power paired with sublime control. 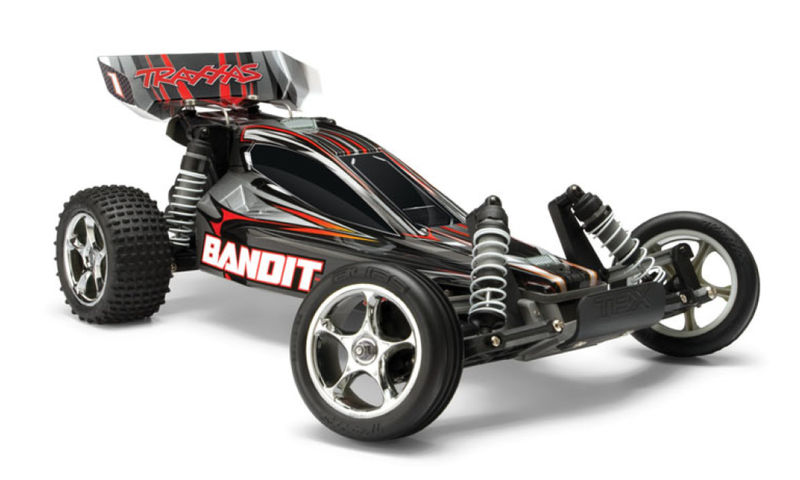 The Bandit boasts a lightweight but rigid chassis, giving you just enough durability. Ideal for fast cornering on various surfaces, this RC will give you the edge on the competition. If you’re a newbie, simply program the XL-5 ESC to reduce the power to the motor by 50%. This allows beginners to ease into the experience. The product of engineered performance features (such as the Revo torque-control slipper clutch) the Bandit could be in a league of its own. Although a patent-pending addition, adjustment and traction control will be that much better thanks to it. With regards to how this bad boy runs on pavement, let’s just say you won’t be disappointed. I’ve seen the Bandit zip by users with mind-boggling speed, and still manage sudden stops and sharp turns. Mind you; this driver was using a slightly more customized RC. For one, he equipped it with Anaconda tires, as opposed to the stock ones. That might be something you want to consider. While this buggy is super impressive on the pavement, the two-wheel drive system isn’t the best for uneven ground. So if you’re planning on driving this bad boy on the perilous paths to Mordor, then you’re probably looking in the wrong place. If the name ‘Traxxas’ doesn’t already guarantee this product’s overall efficiency, let’s talk some more about features. This time in the durability department. Aside from the TQ 2.4GHZ radio system (which is also digital), and the impressive spec torque control, there’s even more to this buggy that prepares it for the ride ahead. Namely, the cooling molded motor plate that fits the motor, and the electronics screwed into the fiber-composite chassis. The suspension is already something to talk about. But pair that with the telescoping drive shafts that enhance the performance of the suspension, and you’ve got a quality driving experience ahead of you. Don’t forget the brushless ready planetary gear differential; the steel internal gears make this bad boy one tough little buggy! These features (among others) allow the Bandit to perform well on various surfaces. With modifications, you can take the Bandit from 30 mph all the way to 40! But this doesn’t mean the Traxxas Bandit is a PERFECT machine. If you’re planning on buying this RC car, here’re a few things you might want to know. Some users (not many) have had problems with the fuse in the DC charger. Apparently, the fuses go out pretty easily. Also, the DC charger is meant to be used in your car, as opposed to a wall charger. Some people may find this to be a bit annoying. If this doesn’t sound like what you’re going for — you might want to go ahead and get a wall charger. Also, the stock tires aren’t phenomenal by any means. They might last for a long time on dirt but they might not be the best on the pavement. I think the car is worth getting, especially if you make that upgrade to the tires. Lastly, some users may feel as though they’d be better off getting an RC with a brushless motor, as opposed to buying the Bandit, and getting the upgrade. 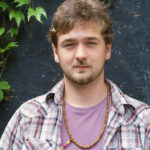 While this would be more economical, it’s not necessarily a better choice, depending on what you’re going for. Some drivers stick to brushed motors regardless, even users who compete locally and otherwise. In the end, that comes down to what’s right for you. So I’ve talked about the aggressive motor, the fact that the bandit can go as fast as 35mph, displaying top-notch speed. We also covered the great durability displayed by the Traxxas Bandit, thanks to above the bar engineering. I’ve mentioned that it’s ready to run, requiring virtually ZERO setup on your part. Unless you consider charging a battery pack to be labor, in that case — fine. That won’t stop you from tearing up the track with one of the best buggies out there. It doesn’t come at a bad price either if you ask me.